We’ve been married for about 5 years and we love Love. Marriage is the most incredible thing in life and I feel like that’s not talked about enough. Our approach on weddings, is that our job is to capture the emotions that are happening. 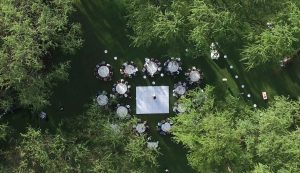 Instead of turning your wedding into a movie set, we prefer to step back and capture all the interactions and moments that are already happening. 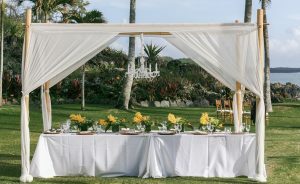 This allows you to really be present with your wedding and enjoy it. We only offer one package because we only deliver our best. We film with four cameras to provide full coverage of your ceremony, toasts, and reception. We sync all four cameras with our wireless audio for the best product. Two cinematographers for double the coverage. A husband & wife team makes it even easier to film footage of the bride and groom getting ready in separate locations. Receive 10 hours of video coverage on your wedding day. Receive an additional day of coverage to film the surrounding landscapes and broll. We’re happy to spend our additional day filming an activity with you or interviewing you to add to your wedding story. Have creative control in directing your story with love letters, vows, and interviews. You’ll receive over 30,000 unedited photographs from your wedding day. These make a great addition to the photographs from your wedding photographer. We film with cinema cameras that shoot 10 bit Cinema DNG files. This is what top directors use to guarantee quality on feature films. Includes our travel fee to anywhere in the world. We receive reduced travel rates from our travel vlog making this possible. We include rushed edits with every wedding. You’ll receive your social film within two days and the rest of your media within three weeks. 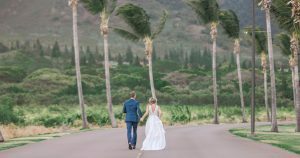 Loved Films specializes in destination wedding cinematography. We provide our absolute best media for every wedding. To do so, we can’t be limited by partial packages. So when we film your wedding, we only offer one package, our “everything package”. It includes all the services that we offer and includes all fees. We offer free travel anywhere in the world. The more remote or exotic the location, the more it adds to the story. Instead of charging extra for this, we’ve included it in our flat rate. The rest of the week we’re in your city we spend filming our own travel vlog and destination guide. This means we will have a lot of media to use for your wedding videos. You’ll receive two days of video coverage. We spend a full 10 hour day filming your wedding day. We will also spend an additional day filming the surrounding destination and broll. If you’re getting married in an incredible destination, you obviously want to feature it in your film. We are a husband and wife team. This helps with the obvious of making things easier for filming the getting ready scenes of the bride and groom in separate locations. However, it also helps a lot with being able to travel together and work together more effectively. We’re not at the point where we can read each other’s thoughts, but we’re getting pretty cose. You will receive 10,000+ RAW photographs. You read that correctly. Most good photographers won’t include RAW photos, this is because editing the images is a large part of the creative process that goes into making an incredible image. So, why would a videography deliver so many photographs? It’s because our video cameras, don’t film video. They are high resolution cinema cameras that actually take 24 images per second the whole time we’re filming. We then photoshop these images and put them together to create your film. This is how Hollywood does things and it gives you a lot more control and quality for the final film. We figure since we’re capturing all this media, we should pass it along to you. We have had clients in the past love the images as we were able to capture key moments that they didn’t receive photographs of. Your photographer will be taking a lot of group photos and detail photos that we won’t get. This isn’t meant to replace a photographer. However, it’s a great addition to one. If you want creative control with your wedding film, we are happy to let you produce things. For example if you want to go on a hike the week before your wedding, or sit down for an interview of how you met, we think it could add a lot to the film and it’s included in our package. We typically take audio from the vows or toasts to create dialog for your story. However, reading letters to each other, or doing an interview can really help your control the dialog being used. We provide a free rushed edit on all weddings. We have a much longer post production process than most companies. We’re filming with four cinema cameras and wireless audio. This means we often have over 1TB of media that needs to be processed, scrubbed, synced, edited, and color graded. However, we work around the clock to get all your media delivered within 3 weeks of your wedding. There is a lot more info that we’re happy to discuss. 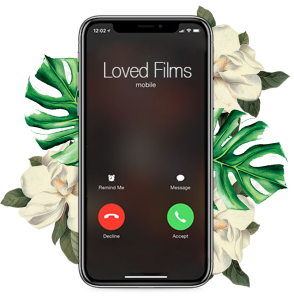 If you txt or email us, we’re happy to answer any questions about your wedding film.